The most important decision that anyone suffering from nail fungus or yellow toenails must make is how to treat it. The earlier a nail fungus infection is treated, the shorter the treatment time and the less of a chance for the infection to recur. We’ve heard so many stories from readers and in journals about how someone didn’t feel the need to start treating an infection right away since it “wasn’t so bad”. Then within months, the not-s0-bad infection has become a full-fledged case of toenail fungus and by the time treatment is started, the fungal agents are deeply dug in and can take years to fully eliminate. Home remedies are the least expensive way to go about fighting a case of nail fungus. These toenail fungus treatments have been known to help people with mild cases of nail fungus although there haven’t been any clinical studies done since none of the products are specifically created for battling nail fungus. We’ve heard stories of success and stories from people who felt they simply wasted their time. It’s definitely up to each individual sufferer of toenail fungus to decide which treatment route to go. Vicks VapoRub – This is probably a treatment that you’ve heard of before if you done any research on home remedies for yellow toenails and nail fungus infections. 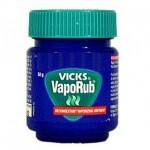 Camphor has anti-fungal properties and is the active ingredient in Vicks. Again, we can’t speak on any proof of this method working but do know that camphor is an ingredient found in some OTC toenail fungus treatments and that some people have said Vicks is a wonderful home treatment for nail fungus infections of any severity. Vinegar – Another very common (and very inexpensive) home remedy for fighting nail fungus. A simple 20 minute daily soak of the infected nails in a mixture of equal parts water and vinegar is the prescription. For centuries vinegar has been touted as an almost magical solution for things such as whooping cough, chest colds, skin abrasions and nail fungus. Since vinegar is very acidic and anything acidic creates and environment unsuitable for nail fungus, it makes sense that this would be a popular home treatment. Hydrogen Peroxide – Nearly all of the reasons why vinegar is a popular home treatment hold true for hydrogen peroxide. 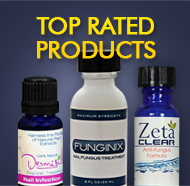 Any acidic or antiseptic solution promotes and environment where nail fungal agents cannot live. So the same holds true for Listerine or rubbing alcohol as well. The treatment is simply to apply twice daily and allow the solution to dry. Tea Tree Oil – Tea tree oil is another member of the herbal anti-fungal family that is found in many quality OTC nail fungus treatments. Although a bit harder to find than the other home remedies, tea tree oil is a proven anti-fungal that is often also used to treat fungal infections of the skin. 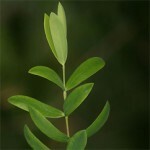 In fact, many people who are diagnosed with a skin fungus infection are told to use Tea tree oil the initial treatment. When used as a toenail fungus treatment, one would rub the oil into the cuticle bed and on any skin adjacent to infected or yellow toenails.